We featured other works by time-lapse photographer Julian Tryba in the last years. Tryba’s latest effort is a layer-lapse of New York City, NYC Layer-Lapse. You have to watch the video to grasp the idea entirely. To realize NYC Layer-Lapse Julian Tryba made 22 trips to New York, spent 352 hours filming, paid $1,430 in Parking Fees, drove 9,988 miles, and took 232,000 pictures. As you can see this is way more than a weekend project. He used five Canon DSLRs (Canon EOS 5Ds, EOS 5D Mark III, EOS 5D Mark II, EOS 6D, EOS 7D), a Sony A7rii, and a bunch of lenses (Canon 200-400mm, Canon 100-400mm ii, Canon 70-200mm 2.8 ii, Canon 16-35mm 2.8 ii, Canon 24mm f1.4 ii, Canon 24-70mm 2.8 ii, Zeiss T* 50mm 1.4, Canon 135mm f2, Sony G 16-35mm 2.8, Canon 24-105mm, Rokinon 20mm 1.8). NYC Layer-Lapse is not your usual time-lapse clip, it is a work of art born from passion and hours of work. More about how it was made can be read here. Kudos! Another great work by storm chaser Mike Olbinski (other works we featured). This year I ventured far and wide. Phoenix never saw a good dust storm all summer, but I still was able to capture a few good ones in southwest portions of the state. The cover photo for this film was halfway to Yuma standing in the middle of Interstate 8 watching an ominous wall of dust roll down the highway towards me with lightning flashing behind it. It was an incredible moment. One bonus this summer was a few successful chases up at the Grand Canyon. Finally. A couple of gorgeous sunsets, rain dumping into the Canyon, lightning at night, Milky Way…it all worked out and I’m stoked for the footage I captured there that made it into this film. I also ventured over into New Mexico twice to chase some wonderful, plains-like structure to end the monsoon this year. All told I covered about 13,000 miles and chased as far west as Desert Center, CA, as far east as Wilna, NM and as far north as Tonelea, AZ. And two great storms down in Organ Pipe National Monument, which is only about 10 miles from Mexico. Mike Olbinski used two Canon EOS 5DS R along with Canon 11-24mm, 35mm, 50mm, 135mm and Sigma Art 50mm lenses, and Manfrotto tripods. The final product was edited in Lightroom with LR Timelapse, After Effects and Premiere Pro. Enjoy! I featured previous works by Mike Olbinski, a talented videographer with a passion for chasing storms all over the United States. Blu-Ray discs are available here. The music is by Peter Nanasi. You can follow Mike Olbinski on Twitter, Facebook, and Instagram. Mike used two Canon 5DSR’s along with Canon 11-24mm, 35mm, 50mm, 135mm and Sigma Art 50mm lenses, and Manfrotto tripods. The final product was edited in Lightroom with LR Timelapse, After Effects and Premiere Pro. Millions of visitors a year come to Arizona’s Grand Canyon National Park, one of the seven natural wonders of the world and the most visited national park in the western United States. However, on extremely rare days when cold air is trapped in the canyon and topped by a layer of warm air, which in combination with moisture and condensation, form the phenomenon referred to as the full cloud inversion. In what resembles something between ocean waves and fast clouds, Grand Canyon is completely obscured by fog, making the visitors feel as if they are walking on clouds. This video was filmed as part of SKYGLOW, an ongoing crowdfunded quest to explore the effects and dangers of urban light pollution in contrast with some of the most incredible dark sky areas in North America. This project is being produced in collaboration with International Dark-Sky Association, a non-profit fighting for the preservation of night skies around the globe. Canon EOS 5Ds R and EOS 5D Mark III cameras and Canon lenses were used to shot the film, sponsored by Canon USA, aided by Alpine Labs‘ Michron & Pulse, powered by Paul C. Buff Vagabond Mini. LRTimelapse was used to process some of the shots. Original video premiered on BBC Earth. High resolution stills can be found here. I featured works by Mike Olbinski previously (1 | 2 | 3), beautiful time-lapse movies of storms, tornados, thunderstorms, you name it. 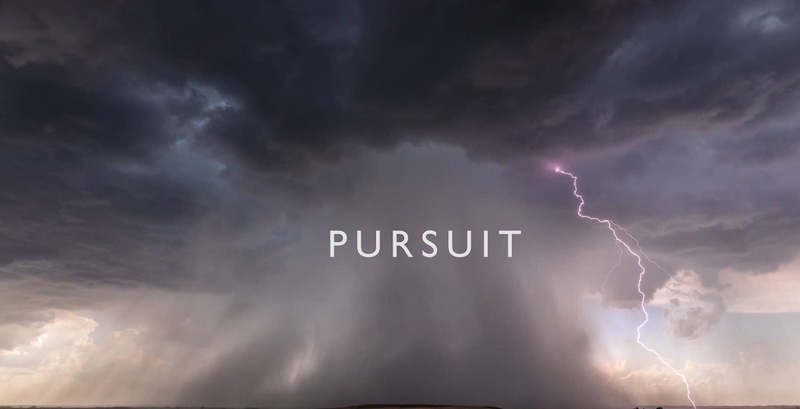 He’s a storm chaser and he makes outstanding time-lapses. For quite a few years now I’ve been wanting to do something different with my time-lapse films. I love color. Storms are full of color. The blues, the greens, the warm oranges and reds at sunset. The colors are sometimes what make a simple storm into something extra special. But black and white speaks to my soul. I love it. There is something when you remove the color that lets you truly see the textures, movement and emotion of a storm. All shots were captured with a Canon EOS 5Ds R, EOS 5D Mark III, and EF 11-24mm, Ef 16-35, 35mm, 50mm and 135mm lenses. Processed using Lightroom, LR Timelapse, After Effects and Premiere Pro. You can follow Mike Olbinski on his site, and on Twitter, Facebook, and Instagram. Let’s start the new year with this post. This is the fourth time I feature a work by photographer and artist Ynon Lan (1 | 2 | 3). He has his very own way to make artistic time-lapse videos, and he does it without fancy or expensive gear. Still NYC #2 is his latest work. 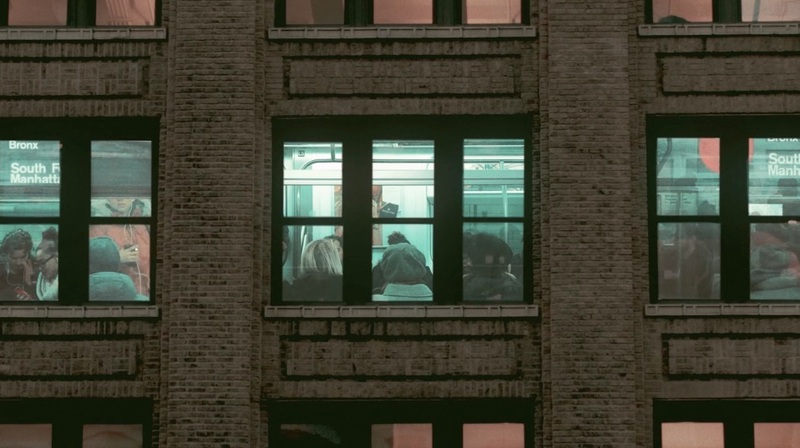 Time, trains and buildings get tangled up in this short experimental stop motion film. The film is comprised of over 600 photos and videos shot at different areas all around New York City. All ambient sounds and sound effects were recorded on location. Ynon used a Canon EOS 550D/Rebel T2i and most of the time a EF-S 18-135mm f/3.5-5.6 IS STM lens.